When the year started I thought that I would read a lot more books this year, but I still set the same goal as 2016 (50 books). Then life happened and things did not turn out as I had thought. I read less crime fiction this year than I usually do. For different reasons I have had a hard time reading about evil and people (especially children) being treated badly. 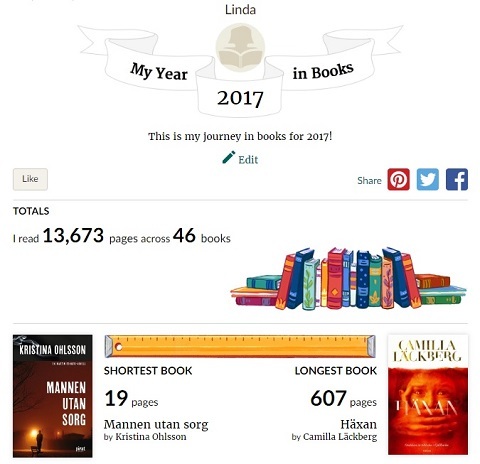 It is no surprise that I prefer Swedish authors and just like last year I read mostly female authors.